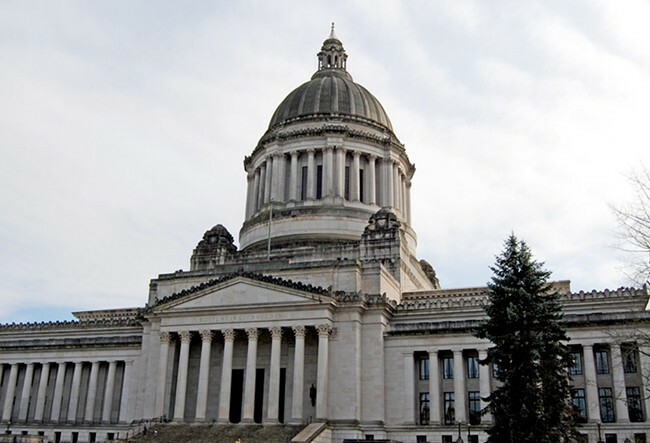 The 2016 session of Washington State Legislature kicked off earlier this month. This session is expected to be a short go-around focused primarily on education funding. But the city of Spokane is still hoping to get some things out of Olympia. In November, Spokane City Council passed a resolution declaring its legislative wish list that it’s since updated and now includes about 30 wide-ranging changes to state law or ways it’d like to see state money spent. Stable funding for the long-sought-after medical school that’s slated to be opened in Spokane. The school could open as soon as next fall. Getting legislative approval was a big win for Spokane, and city leaders want to see it through. A bill that would amend state law to make it easier for Spokane, and other cities, to implement their police body camera programs. It’s generally unlawful to record private conversations without the consent of all parties under state law. Body camera footage is also subject to the state’s public record law, which has led to situations where members of the public request voluminous and burdensome amounts of footage. The bill, which stalled last session, would change the two-party consent rule and restrict the circumstances that body camera footage is subject to disclosure. An expansion of tax incentives for the state’s film and TV industry. The zombie-themed TV show Z Nation is filmed in Spokane. Proponents of the incentives say that it creates jobs – for zombies in Spokane. Opponents say it’s a waste of money, especially when the state is scrambling to find money to meet an education funding mandate. Changes to funding for mental health and substance abuse services. The city is making this request on behalf of Spokane County, which faces fines if it transfers or leases other facilities for mental health patients in its care. As for lower priorities, the city has identified a wide range of other legislative interests including regulations for ride-sharing companies, incentivizing more solar panels, resolving conflicts in state law over charter schools, the creation of a state bank, education on vaping products and others. Recently, the council also added a request that the state help pay for 1,900 trees that were lost during Windstorm and support for the Washington Voting Rights Act.